Over Thirty Baseball - Lowell, MA. 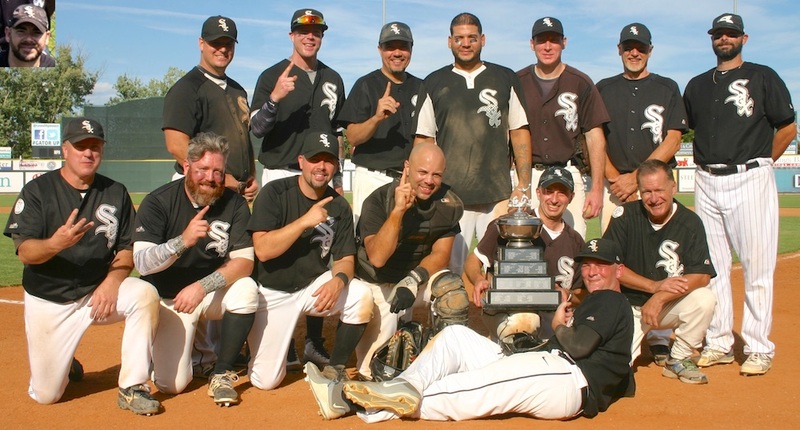 The Over Thirty Baseball League began in 1992 as a group of men who played pick-up games on Sunday mornings. in the Lowell, Massachusetts area from April to October each year. OTB Uniforms: Check out our OTB uniform web page for new and returning players. Sign Up: The annual player draft was a success. All rosters spots are now full. Watch player rosters for the addition of new players. New players can sign up for our waiting list here. 2019 NOTB signup: Is now available for our Night League for new and returning players. Sign up now! Meetings: The OTB board meeting dates and locations have changed. Moving forward, OTB board meetings will be held at The Establishment in N. Chelmsford on the 3rd Monday of each month. Check out the Meetings page. OTB Phillies and Braves: The Phillies roster has been merged into the Braves roster. Woburn MNBL: The Woburn Over-21 league (not affiliated with OTB) is looking for ball players for this summer. Rules Update: Check out the new 2019 revision to our rules. Banquet: Our 26th annual OTB banquet last November was a success! Check out the banquet pictures at our Google Photos page. OTB Champions: Check out the entire history of OTB champions from 1993 to present. OTB Team Timeline: Check out a timeline of OTB teams from 1993 to present. OTB Hall of Fame: Check out the OTB Hall of Fame page and nomination form. OTB Creed: Check out the OTB Creed. John Gianino: Check out our tribute page for John, co-founder of OTB. Lowell Sun interview: Check out the interview with OTB President Chris Augeri. Obituary: Jay Quattrochi, former OTB Indians player from 1999-2000. Dave Bernardini: Check out the GoFundMe page for OTB Yankees Dave Bernardini. Kristen Fratus: Check out the GoFundMe page for OTB Dodgers legend Mike Fratus daughter Kristen. Justin Poitras: Check out the GoFundMe page for OTB Giants Mike Poitras nephew Justin Poitras who passed away suddenly. Gabrielle Bernardini: Check out the GoFundMe page for Gabrielle Bernardini, wife of OTB Giants' Steve Bernardini. The GoFundMe page will help defray medical expenses for Gabby who has breast cancer that has since metastasized to her brain, making her unable to work. Scott Merrill: Check out the GoFundMe page for OTB Red Sox veteran Scott Merrill. John Pelrine: Check out the GoFundMe page created for former OTB player John Pelrine. Oakley Anthony: Check out the GoFundMe page for OTB co-founder John Gianino's grandson Oakley Anthony.